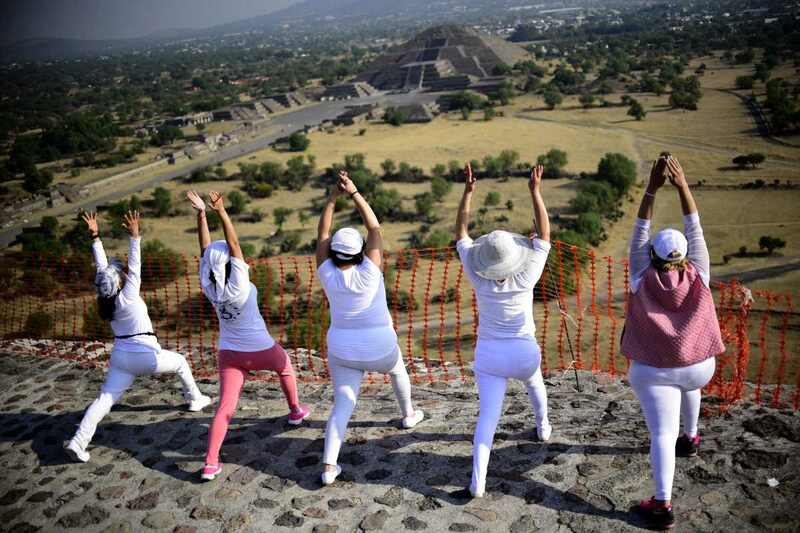 Women atop the Pyramid of the Sun at the archaeological site of Teotihuacan, Mexico, stretch and get energy from the rising sun during celebrations of the spring equinox on March 21st, 2018. 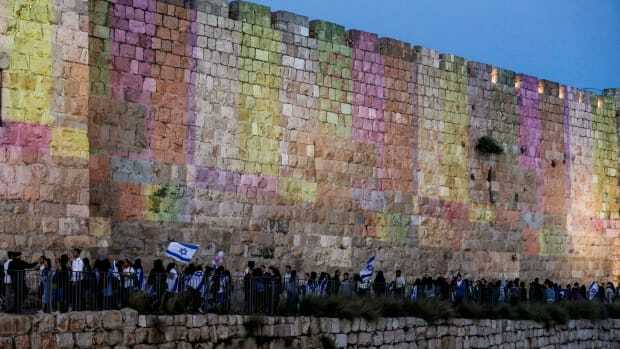 Israelis march in Jerusalem on May 13th, 2018, as they celebrate Jerusalem Day. 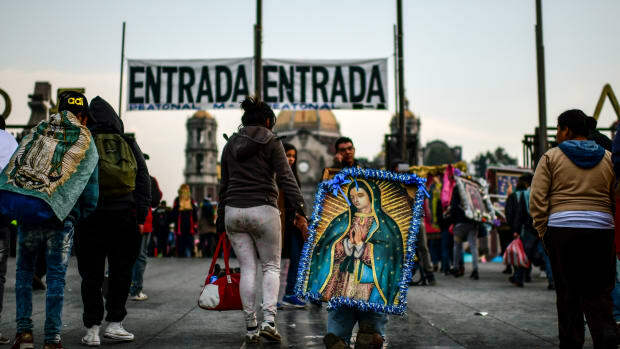 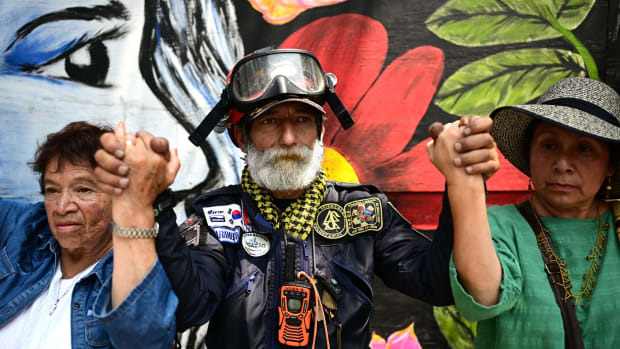 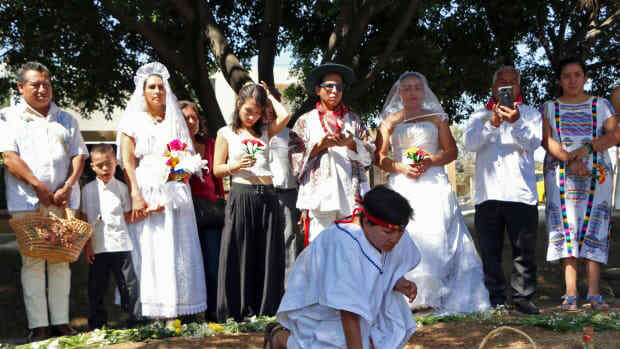 A group of environmental activists hold a traditional ceremony during an event called Marry a Tree, in the community of San Jacinto Amilpas, Mexico, on February 25th, 2018.